Cursos de inglés: stand out from the crowd! Are you thinking about improving your English level this year? Then why not start by checking out how Inglés Málaga could help you. We would love to hear from you! 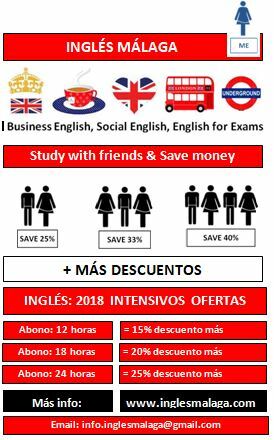 In addition, if you are already an Inglés Málaga client, then why not refer Inglés Málaga to a friend or workmate and get a discount on one of our social English meet-ups.